This is a ceremonial peice from sweat lodge. 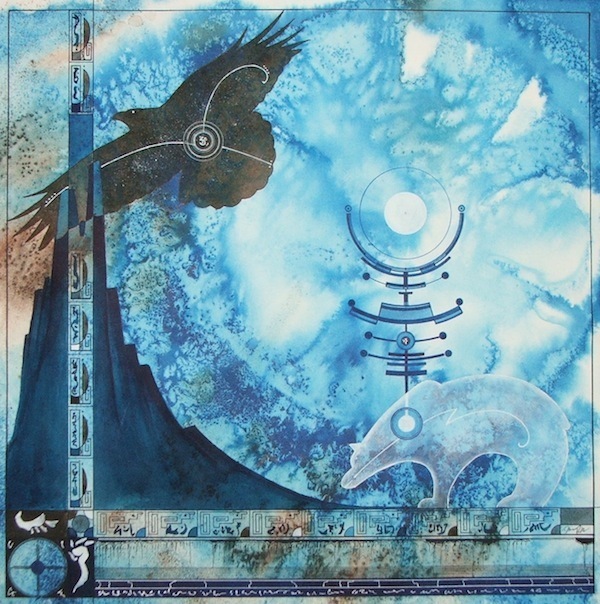 The Spirit in the center is the water pourer and he/she sits on the bridge between the worlds: spirit world in blue with animals and earth wheel with sacred mountaints. Framed 24×48 original painting ink on paper. 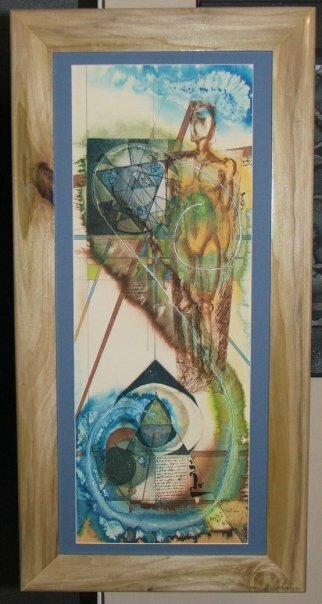 This work was created after the 12-21-10 alignment and Full Moon Eclypse. That evening we shared sweat with good friends and gazed at the glowing moon for hours. This is an intaglio print with inking after the print was done. The frame as well is hand made to match the piece. 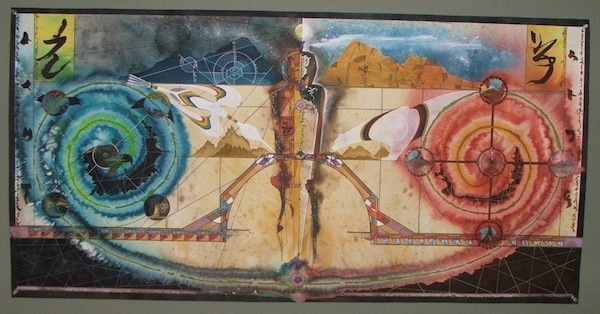 This work is dedicated to shamanic work in ceremony. Raven’s Vision, recent work of 2012. This is a return to classical Acrylic Painting on canvas. And represents a real place where we would go to feel the pulse of the earth’s emanations. Song of the Wind is a print and an original painting on paper that came as I listened to the wind whistling around my home. Absolutely amazing art work; which captures the awareness and feel of the subject perfectly!!!! Amazing! Absolutely stunning art. I am glad Bostjan of the Arrow of Awareness directed me here.